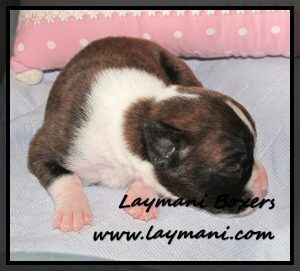 Lollipop is a Diana/Duke daughter. She is a smaller Boxer, who weighs just over 50 pounds. 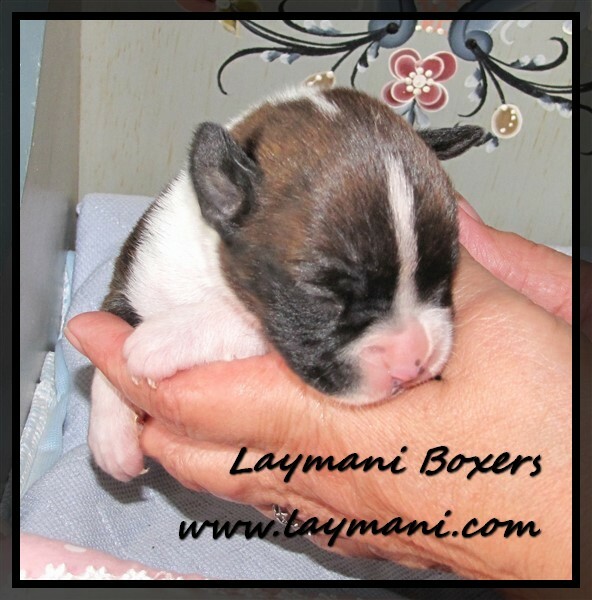 Lollipop is loving and very well-mannered. 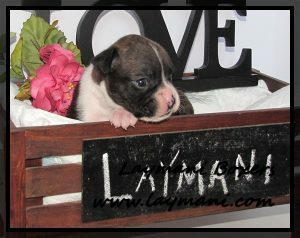 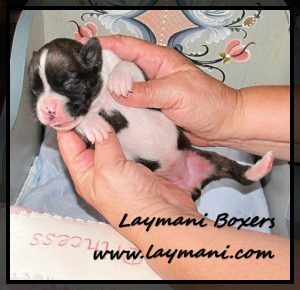 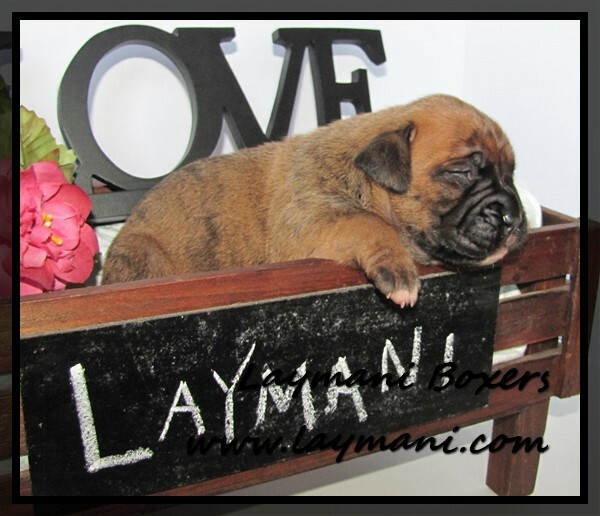 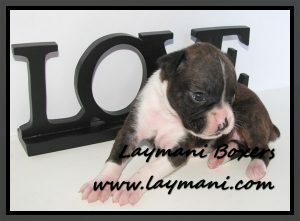 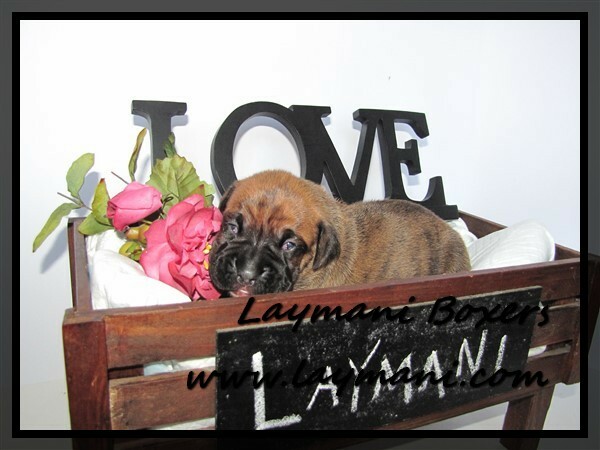 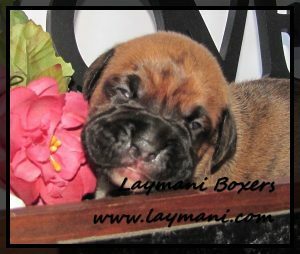 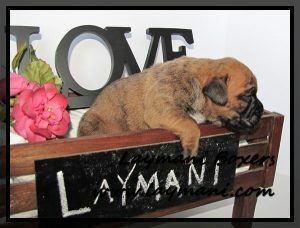 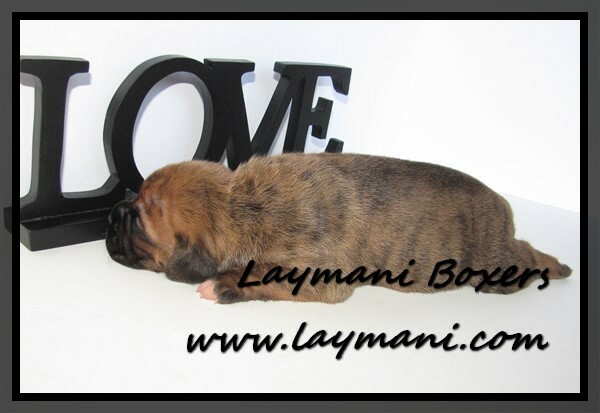 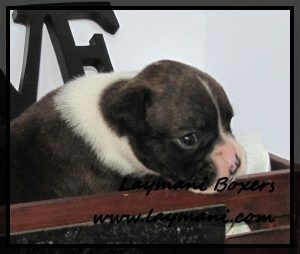 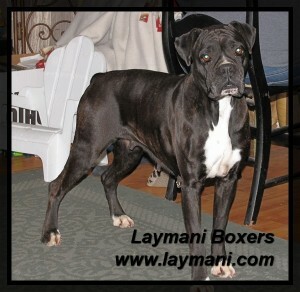 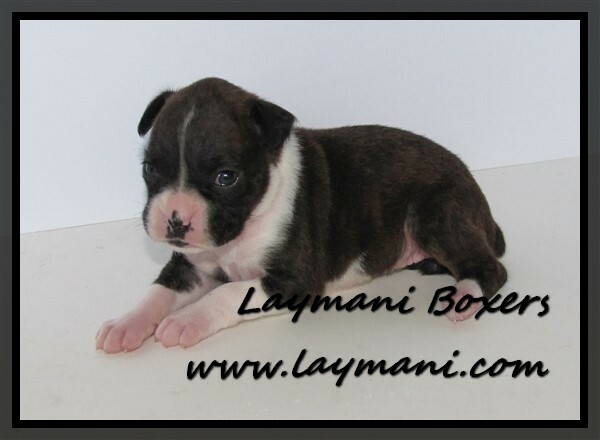 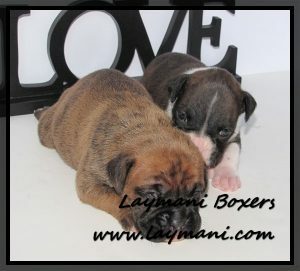 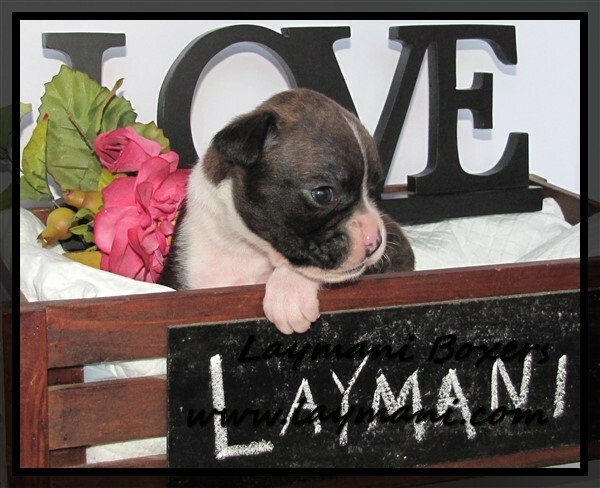 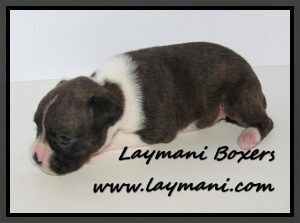 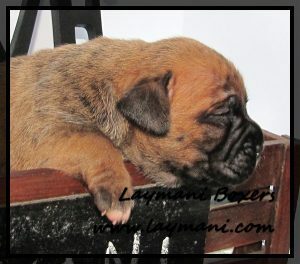 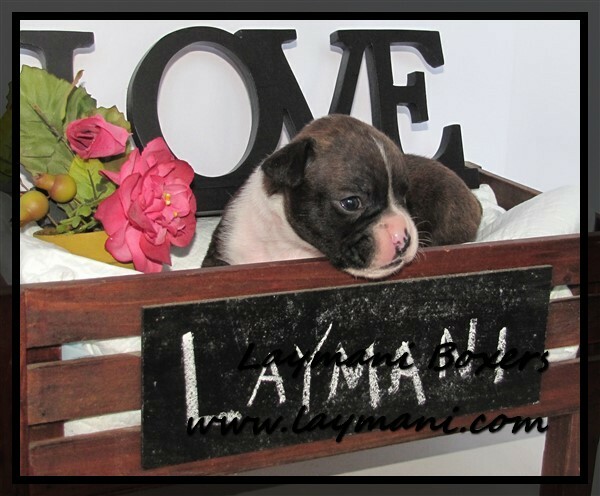 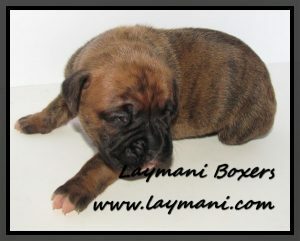 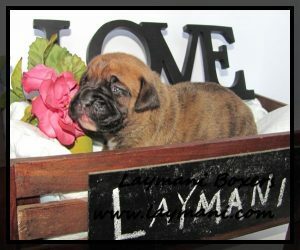 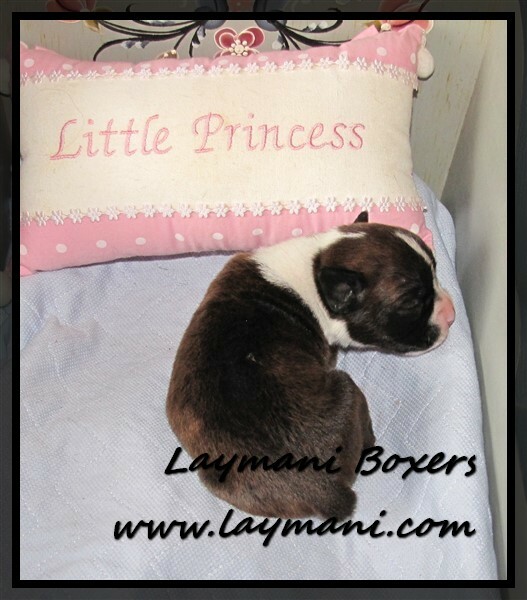 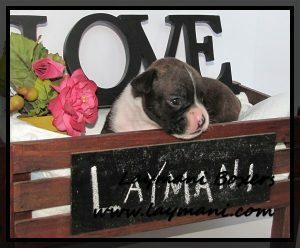 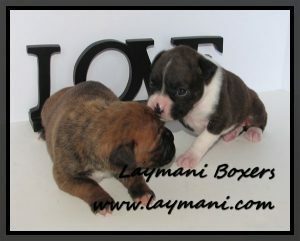 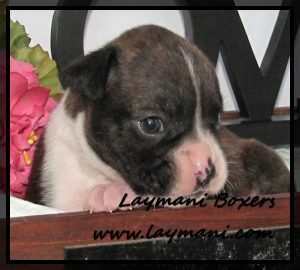 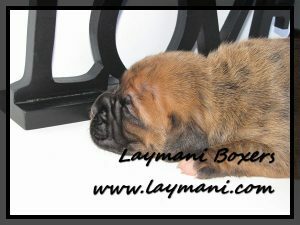 Lollipop will be retiring to life with a Laymani Family in October, so this is her last puppy. Chase is Champion-Sired and Grand-Sired, with a great pedigree. 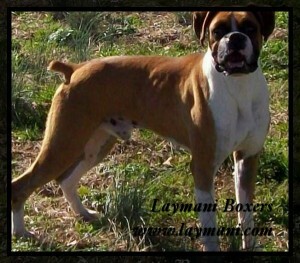 He is always full of energy and a great companion. 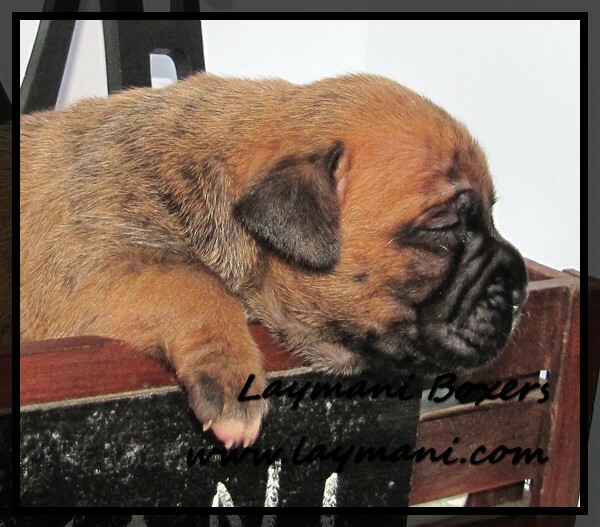 Videos of Annabelle and BB from 15 September 2016 (Click link). 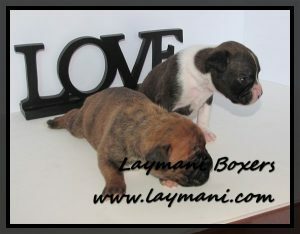 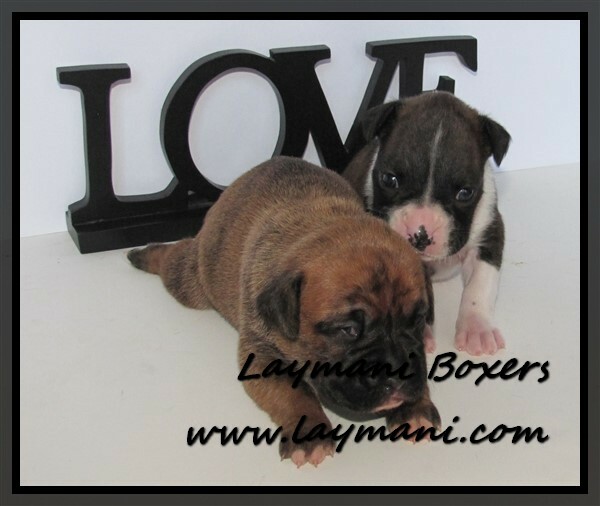 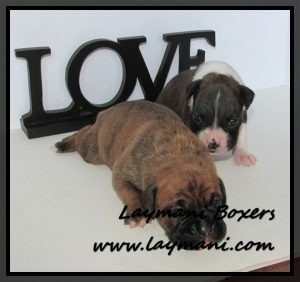 Photo session of Annabelle (Flashy Dark Brindle) and BB (Brindle) on 31 August 2016. Annabelle is two weeks older than BB. 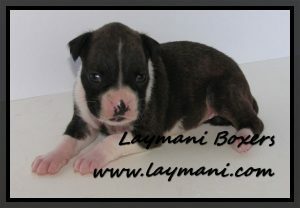 BB was just beginning to open her eyes in these pictures. Videos of Annabelle and BB from 28 September 2016 (Click link).